Scott Kirkhope, MIC, MBL, presents the final lecture in the 2019 series of Clachaig’s Winter Mountain Safety Lectures. Scott will be looking at planning a day in the Scottish hills using the ‘Be avalanche aware’ process and exploring some of the common mistakes made by people during the decision-making process on the hill. Clachaig’s lectures are informal by design, and will hopefully be as entertaining as they are educational. For 2019 lectures will be presented in the Boots Bar. There is no charge for entry. Start will be 8pm approx. If part of a larger group, please give us some advance notice so that we can do our best to prepare accordingly. To help us to continue to improve and develop the series, we’d be very grateful for your feedback after the lecture. The series is sponsored by Rab. Please give them your support and encouragement so that the lecture series can continue to be provided free at the point of delivery. Scott Kirkhope is a Lochaber based Outdoor professional that has been living and working in the area for over a decade. 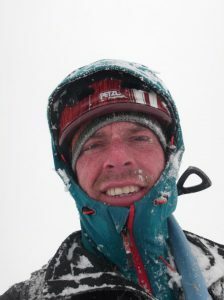 He holds the UK’s highest mountaineering instructional award, the Mountaineering Instructors Certificate [MIC] and is a qualified Mountain bike guide and has a great passion for the west coast. His business Kirkhope Mountaineering offers guiding and instruction throughout Scotland, year round. We are particularly keen to ensure that the lecture series remains FREE ENTRY as it has done since its inception. 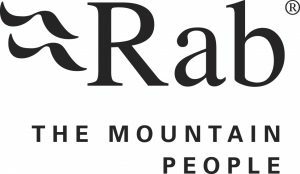 However, there are costs and we are extremely grateful for the backing and financial support of Rab. Their belief in the value of the lectures has ensured that the series can continue to be delivered for the 2019 season. Whilst the lectures are free, we will be asking you to part with a pound, or three, as we raise funds for Glencoe Mountain Rescue throughout the course of FebruaryFest. There are some great prizes from Rab and a range of other local and connected businesses. Read more about The Big Winter Raffle. 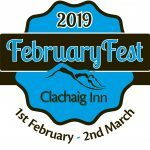 Raffle tickets will be on sale on the night, and throughout February at Clachaig.